Ανακαινισμένο το 2010, το Hotel Samrat New Delhi εγγυάται στους πελάτες του μια ευχάριστη διαμονή είτε βρίσκονται στη Νέο Δελχί και αστική ζώνη για δουλειά ή διασκέδαση. Σε μια τοποθεσία μόλις 5 km από την συναρπαστική ζωή της πόλης, αυτό το 5 αστέρων ξενοδοχείο αποτελεί ένα εξαιρετικό μέρος και παρέχει εύκολη πρόσβαση στα μεγαλύτερα αξιοθέατα της πόλης. Με την βολική του τοποθεσία, το ξενοδοχείο προσφέρει εύκολη πρόσβαση στους προορισμούς της πόλης που πρέπει οπωσδήποτε να δείτε. Οι υπηρεσίες και ανέσεις που προσφέρονται από την Ashok Group σας κάνουν να νιώθετε σαν στο σπίτι σας. Το ξενοδοχείο σας προσφέρει μια μεγάλη επιλογή υπηρεσιών, συμπεριλαμβανομένων των 24ωρη υπηρεσία δωματίου, δωρεάν WiFi σε όλα τα δωμάτια, 24ωρη φύλαξη, ημερήσιος καθαρισμός, ενοικίαση φορητού wi-fi. Απολαύστε ανέσεις υψηλών προδιαγραφών κατά τη διαμονή σας. Ορισμένα δωμάτια περιλαμβάνουν θυρίδα, ντουλάπα, δωρεάν τσάι, πετσέτες, ξύλινο/παρκέ δάπεδο - ό,τι πρέπει για να αναζωογονηθείτε μετά από μια γεμάτη μέρα. Το ξενοδοχείο προσφέρει μια άριστη ποικιλία ψυχαγωγικών εγκαταστάσεων, όπως τα γυμναστήριο, εξωτερική πισίνα, κήπος. Όταν ψάχνετε για ένα άνετο και βολικό μέρος για να μείνετε στη Νέο Δελχί και αστική ζώνη,το Hotel Samrat New Delhi γίνεται το σπίτι σας μακριά από το σπίτι σας. Ελάχιστη ηλικία επισκεπτών: 21 έτη. Η ιδιοκτησία δέχεται κρατήσεις μόνο από επισκέπτες που δεν προέρχονται από την περιοχή. Οι επισκέπτες που κατοικούν στην ίδια πόλη με αυτήν της ιδιοκτησίας δεν επιτρέπεται να κάνουν check-in. The hotel doesn't has a restaurant and only option is room service for the food (source unknown) for lunch and dinner. I had booked my business travel through Agoda and stayed in the hotel for 1-day. At check-out time I asked the hotel authority to issue a "Certificate of Stay" which I need to submit in my office and it was denied. I explained them the reason also that anyone can make an online hotel booking, take printout of the receipt and then cancel the reservation and use the receipt to claim refund from the office . Its b'se of this reason our accounts department wants us to submit a certificate of stay from the hotel but all fell on deaf ears. I don't understand that if I had stayed in the hotel, why the hotel should hesitate in certifying this??? I had previously also booked from Agoda and all other hotels have issued the certificate without any hesitation. 1 star hotel.. 3rd class .. hotels for inr 1000 will be much much better.. do not book this hotel .. washrooms with bucket inside.. broken doors.. super Dirty..1980’s type of room ..never mentained .. worst hotel i have ever experienced..3rd class is the word..
Pros: Breakfast was great, very helpful staff, nice bathroom, hotel food was great, nice room, and overall Expereicne was great Cons: slow WiFi, old towels, there was a small cockroach in bathroom, bed wasn’t as comfortable. So far it was pleasent stay. But 1 thing I would like to mention that is room interior very much outdated . In our Bathroom toilet water springkler had a leake. Other inside room everything was so old . Seems that are upgrading entire hotel you can easily see everywhere construction work. Pros- Location specific it is best hotel. Room service for food was good. Morning breakfast included in hotel price which was worth of money. Multiple options . very bad experience to stay at hotel samrat.very bad room service.unfriendly and untrained staff.food quality was bad.never never stay there. We ordered two single beds but they arranged double bed, how can two big fat men lie on a bed? Can you imagine? Finally they changed a new room for us! Ovewrall it was good experience. Samrat means emperor and you get a cosy room good breakfast and nice food via room service. Fish grilled is worth trying. People are ever smiling courteous. But I was disappointed about their toilet flush shower curtain and bath towels. I never expected such a poor quality bath towel -no hand or face towels were provided. After asking you get another poor quality towel. Flush out the WC requires herculean force. Shower curtain is short and you have to use mug and tumbler to avoid water outside the bath tub. Bath tub has stains and you may not like to lie on it for bath. It is unfortunate for a five star hotel. No one should ever stay in this pathetic hotel. Right from the word go it is hopeless. 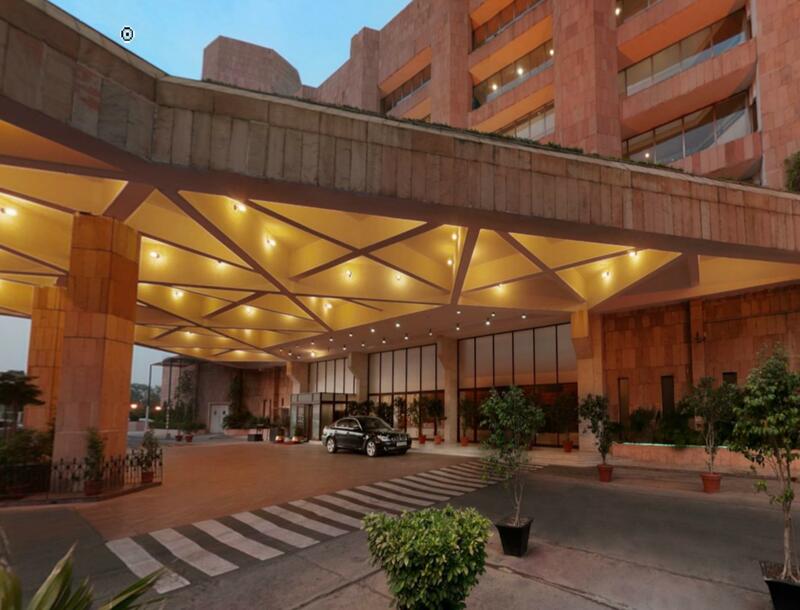 Dirty lift, mismanaged lobby and reception, dirty carpet, seepage in walls, old and broken furniture’s , dirty washroom, no restaurant, spa closed, swimming pool closed Even if you are offered free stay, never ever go to this hotel. The rooms were dated and the water in the bathroom was dirty. The rooms themselves had old mouldy smell. Breakfast was mediocre. Not recommend. 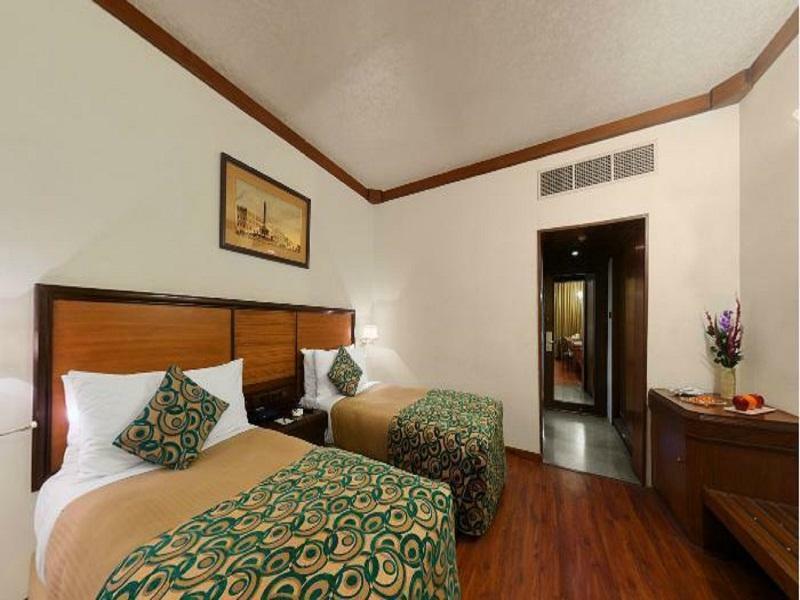 Pay a little extra and better stay in the ashok next door. It is my reading that if booking is through some agency like Agoda/Goibibo/MMT/OYO, the rooms provided in the lst instance are not at all as per expectations perhaps due to discount provided through agencies and hoteliers feel such customers to be 2nd rated. These do not match with what is shown at the time of bookings through such agencies. This has happened many a time. This happened on my trips to Goa, Haridwar, Delhi and so on. When we protest, better rooms are provided. Why such things - customers are customers and should be treated at par. This happened at Samrat Hotel through Agoda and at Hotel Classic Residency in Haridwar through Goibibo as well this time. Staff at Samrat was Excellent and always ready to help & made our stay comfortable despite several issues notified to hotel admn. Breakfast was very good n well spread n enjoyable. Agencies which accept bookings for customers must see comfort/facilities provided to customers than their hefty commissions. No water. unclean rooms. ok breakfast. Samrat is located in a safe, good. clean and green area in Delhi. Hotel itself is nice, impressive no complains. However, maintenance needs improvement. Service is slow and non-responsive. Above all, the reception counter or the front desk staff are unfriendly and have a non-bothered attitude. The junior staff are badly trained. My passport pages were folded for ease of copying! The staff returned it without a word about it and when I found out and confronted, a very quick, in-sincere sorry was the reply! The person who folded the pages didn't feel it was wrong. I notice the staff at front desk is not educated or trained properly. Wires coming out from walls n floors in most of the areas. When asked for any assistence reception was not supportive and said they do no have staff. It took me over 30 min at empty reception and all documents that could have been just copied, person at reception asked to fill 3 complete forms, printing same details which could have been avoided. Good location nearby and has good access to all major places. Clean rooms Business centre is good Friendly staffs. Σταθμός Μετρό Race Course στα 1.35 χλμ.